Farewell, Zack Greinke. We will certainly miss you. After weeks of speculation, including some pretty crazy rumors over the last few days, the Milwaukee Brewers finally traded Zack Greinke. After watching his stock take a hit with a rough July start followed by a mysterious “shutdown” by Manager Ron Roenicke, the enigmatic right-hander quieted his critics with a truly dominant performance on Tuesday night. Yes, in only 87 pitches, Greinke put to rest any concerns about his health and his ability, instead causing opposing scouts and GMs to bull rush Doug Melvin’s office door. The winning bid came from the Los Angeles Angels of Anaheim, a team that beat out AL West rival Texas for the services of Mr. Greinke. With the move Greinke will join an Angels rotation that already includes Jered Weaver, C.J. Wilson, and Dan Haren, creating a foursome as dangerous as any in Major League Baseball. 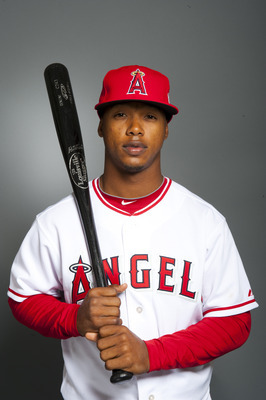 In return, the Brewers will receive three of the Angels top ten organizational prospects, including current top-prospect Jean Segura. 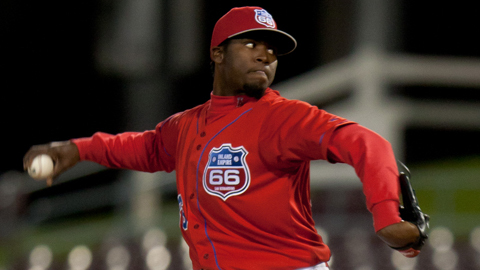 Along with Segura, Milwaukee will also receive RHP John Hellweg and RHP Ariel Pena. A few weeks ago, I wrote an article looking at possible trade packages that Melvin would consider in a trade for Greinke. Then, I wrote that a package centered around Segura and Hellweg would have to be considered. Landing another one of Los Angeles’s top prospects apparently put the deal over the top for Melvin, who was using the rivalry between the Angels and the Rangers to up the asking price for the former Cy Young winner. There were reports that Melvin was looking to land a top shortstop prospect in any deal involving Greinke, and Segura fits that bill. Segura had recently been called up to the big league club for the Angels, but he only appeared in one game at that level. In 94 AA games this season, Segura produced a line of .292/.346/.404 with 7 homeruns and 50 runs scored to go along with 33 stolen bases. While he would be an immediate upgrade over the current shortstop situation in Milwaukee, I would assume the organization would start with at AA Huntsville, at least for a few weeks. Hellweg and Pena also spent all of this season thus far in AA. 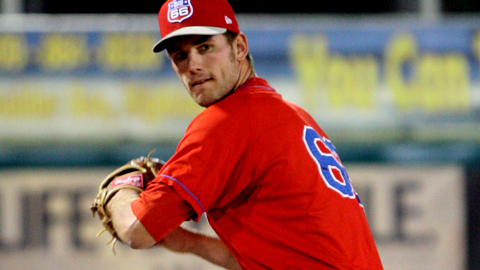 Hellweg started 21 games, compiling a 5-10 record with a 3.38 ERA, walking 60 while striking out 88. In his first full season as a starter, Hellweg was producing a 6.62 K/9, but he also had a 4.51 BB/9, showing once again that his biggest concern is his command. Standing at 6’9”, Hellweg has some natural downhill plane on his powerful fastball, which typically sits in the mid-to-upper 90s. While he’s still a work in progress – especially with his secondary pitches – Hellweg still represents a welcome addition to the Milwaukee farm system. In 19 starts this season, Pena was 6-6 with a 2.99 ERA, walking 42 while striking out 111. Pena has some more success with the command of his pitches, resulting in a 3.31 BB/9 and an 8.74 K/9. Pena also has a lively fastball, which is reported to sit around 95 MPH with some movement. His slider is also said to be a hard slider that tends to fall off the table, allowing it to miss some bats. His changeup will need some work, as it can tend to be a BP-fastball if he doesn’t control it well. While Pena’s ceiling doesn’t appear to be as high as Hellweg’s, he seems to have a higher floor, especially considering his ability to control his premium pitches at this point in his career. Overall, I think GM Doug Melvin did what we wanted him to do – he got the best possible return that he could for Greinke. Texas had already stated that top-prospect SS Jurickson Profar was off-limits, and they recently made it clear that 3B Mike Olt would not be available for a two-month rental. Instead of playing a dangerous waiting game with Texas, he used their interest to get the Angels to give up three actual prospects in order to acquire Greinke. As I said before, Segura could step into the everyday lineup for Milwaukee today and be an immediate upgrade, providing Melvin with the shortstop-of-the-future that he was looking for. Hellweg and Pena give the Brewers two very talented arms to work with, and you can never have enough pitching in baseball. To Zack Greinke, I say this: Good luck. It was a blast having you in Milwaukee. To Doug Melvin, I say this: Good job. You did what you had to do and brought back a real package that could help this team in the long run. 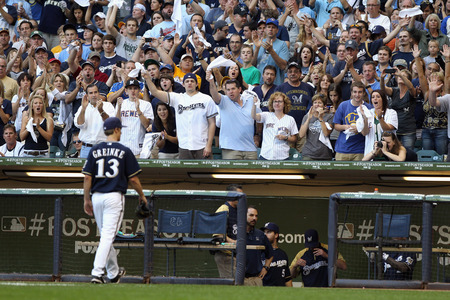 To the newest Milwaukee Brewers, I say this: Welcome! You’re going to love it here. I hope you like beer. Who am I kidding – who doesn’t like beer? This entry was posted in News and tagged 2012 Trade Deadline, Ariel Pena, cj wilson, dan haren, Doug Melvin, jean segura, jered weaver, John Hellweg, jurickson profar, los angeles angels, mike olt, Milwaukee, Milwaukee Brewers 2012, Ron Roenicke, Texas Rangers, Trades, Zack Greinke, Zack Greinke Trade. Bookmark the permalink. Good write up. I would have loved Olt or Perez, or obviously Profar. But it seems like the Rangers weren’t that serious if they weren’t willing to give up any of their top prospects. I think Doug Melvin did a good job. Segura is very well-regarded; we needed to get back one of the elite SS prospects in this deal (ATL, Boston, Balt, TEX all interestingly have good SS prospects) and that’s what Melvin got. The icing on the cake is that the two arms, while not top tier prospects, are considered solid MLB prospects…and prospects are just that, so who knows, maybe they’ll be better than some think.